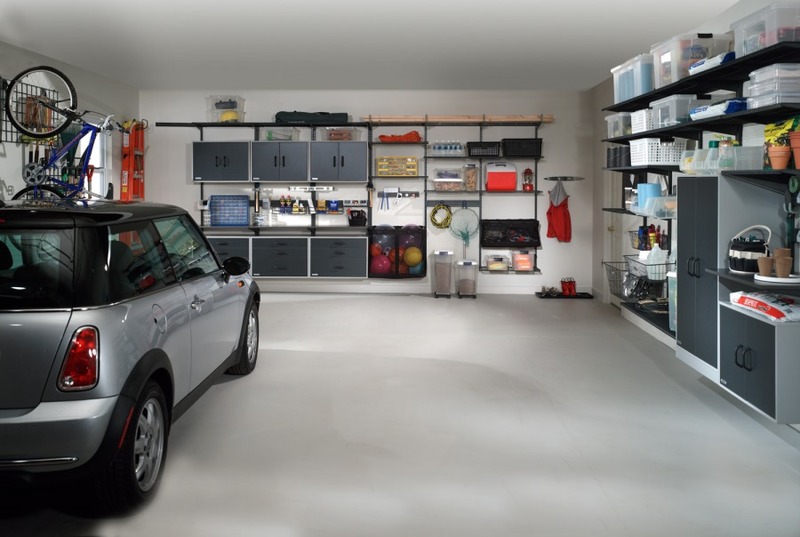 Home Cleaning Spring Cleaning: Tackle that Garage! It’s just one of those things. The garage is a MESS. You don’t even want to think about it. Sure, you know the longer you ignore it, the worse it’s going to get. But it doesn’t matter, you just don’t have the motivation. Then something inspires you! Maybe there’s an item you need that you know is lost somewhere within the throes of the garage. It could just be one of your annual spring cleaning traditions… Or perhaps your significant other has found a way to get your act in gear, either way – let’s go! Your motto throughout this process will be “one step at a time” and be comforted; it’s not as overwhelming as you think. Take heed of these helpful household tips. So, first step, observe. Take notes – are the bulky pieces past their prime? You want to think about getting rid of as much as possible. If you have items that are still functional but have no use for you anymore, list them on Craigslist. Create categories for sorting stuff. For instance, you might create a bin to fill stuff with that is designated to go to the Goodwill. Sure they take clothes and just about anything else that is usable, too. That can include books and DVD’s (If you have a box of books in the garage, what’s the chance you’ll actually read them again?). Thus begins the clutter reduction…Other categories for dedicated areas might include “Tupperware” “sports gear” “decorations” etc… put them in piles and toss whatever is broke or unusable along the way. It’s all about consolidation and grouping things together… it’s no different from de-cluttering your kitchen. Don’t expect to get everything done all at once. Work at your own pace, don’t overdo it. I mean this sincerely, particularly for our older readers, don’t put undue pressure on yourself. 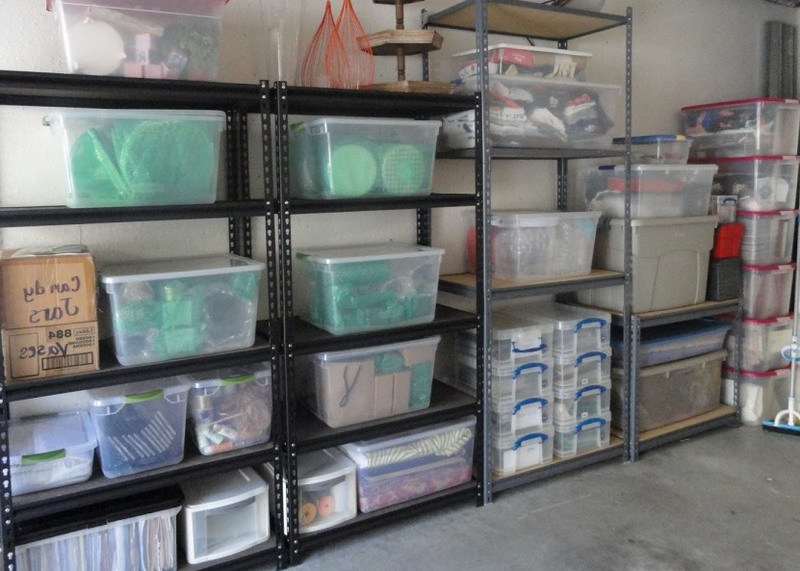 So continue to sort and toss until you’re left with several piles arranged by grouping. Never treat this project frivolously. 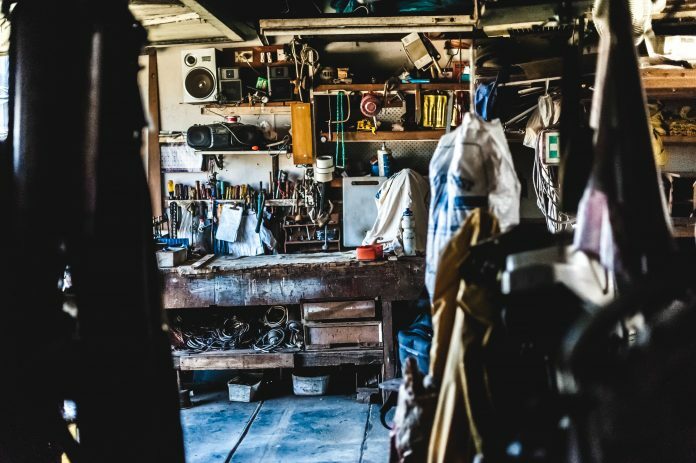 For instance, if you have potentially hazardous materials in the garage you need to take exceptionally careful steps to handle them. Pesticides, old motor oil, paints, fertilizer, pool chemicals, etc… need to be collected in a central spot of the garage. DO NOT dump any of it down the drain OR toss it in with the regular trash. You must drive – carefully – to the nearest hazardous waste material facility in order to have it all properly disposed. And congratulate yourself when you do, it is not short of a noble act. Now things are starting to shape up aren’t they? Let’s go buy some proper storage. Sure, you’ve already got the slot boards from which your tools have always hung – those are great – but how about some cabinets and drawers? 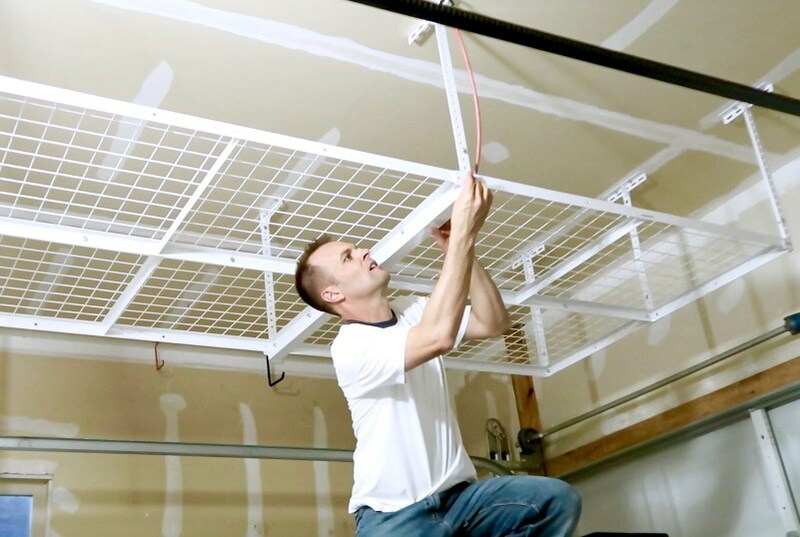 Solutions like these will not only make your items easily accessible it will protect their condition according to an article posted by Best Online Cabinets. For instance, some of the special stuff you want to keep has been in the same boxes for years, which are now looking dilapidated. Take that revolving spice rack, for instance. Replace the old paper boxes with sturdy containers that are designed to protect, be durable and last forever. If you hadn’t considered overhead storage previously, do it now. You can buy overhead bins that securely mount to the ceiling. They need to be completely safe so this might be a time to hire a pro so they can install them properly. Obviously you want to hang all you can on the wall, this will make your floor space all the more plentiful. As mentioned previously, cabinets and their shelves within make it easy to store materials like motor oil and assorted chemicals that you can lock safely away. Meanwhile move the things you use frequently to the front of the garage. This way, if you ride your bike often have it ready to go, hanging on hooks close to the entrance. Similarly, you can have sports balls hanging in large mesh baskets and a shelf for other random items. No matter what odd-shaped items you have – surfboards, camping gear, exercise equipment, there is a rack somewhere out there to fit them. It may take a little searching online, but you can bet that they make storage solutions for just about anything these days. Your large bulky items no longer have to always be obtrusively in the way, give them the perfect home. Before you know it, everything will belong to its own spot in the garage. By now, you’re looking at a pretty cool streamlined space. Now, your final step is to do your general cleaning. Now that the area is as exposed as it’s going to be, sweep and mop (if applicable) thoroughly. After that, it’s just up to you to ensure proper maintenance. The key is to KEEP it organized for a long time to come. 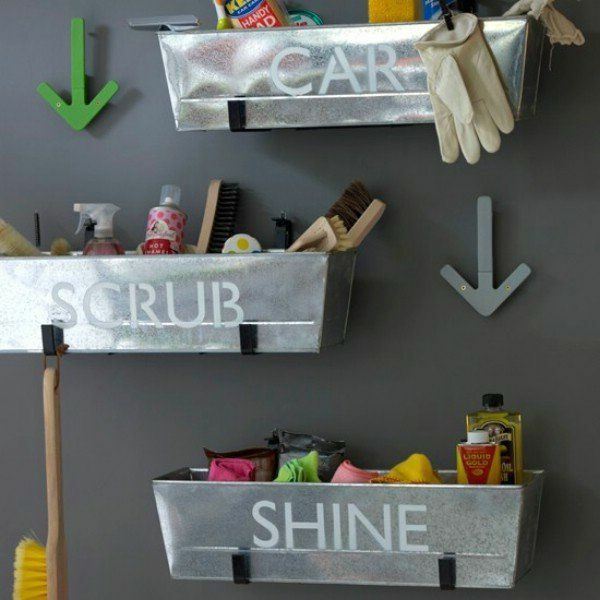 No longer should you use the garage to discard things just because you don’t know what else to do with them. You don’t want to undergo a major project like this again, and you don’t have to. Just keep all of your like items together and don’t let the clutter start again.